He said that while the strategy makes sense, it was the tactics Gillette got wrong. Ritson likened it to a public heath video students were forced to watch and said the expensive commercial would likely hurt its market share. It's an analysis he makes by mostly drawing on the barrage of negative comments made on platforms such as YouTube. In comparison to other big brand ads, such as Nike's campaign with Colin Kaepernick, Ritson claims the spot lacks authenticity. He also added he would have liked to see a less 'preachy tone', showing how Gillette users can be part of the solution - despite the ad showing men correcting toxic behaviour by boys. However, others in the industry have defended the move and said it's the right time for such a brand to join an important conversation. At a time where some argue the days of the big brand ad is dead, many argue that Gillette should be commended for the emotive and bold ad. Speaking on ABC Sydney, Walkley award winner Jane Caro dismissed concerns raised about the negative reactions it received on YouTube, saying people are more likely to register negative emotions online. So far the nearly two-minute spot has attracted 441,000 dislikes compared to its 140 likes on YouTube and has received six million views. Caro also praised the brand for using its iconic brand platform to comment on toxic masculinity. It's not the first time a brand has received backlash from the public over 'purpose-led' ads. In 2017 Pepsi came under fire for its campaign using model Kendall Jenner about the Black Lives Matter movement in the US. Others, such as TV host Piers Morgan, have been commenting about the ad on Twitter. We'll be approaching creatives across the industry for their thoughts on Gillette's ad so watch this space. 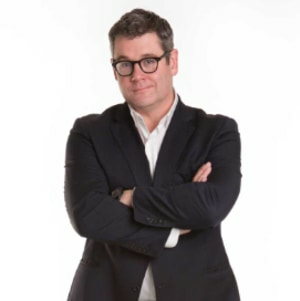 Outspoken professor Mark Ritson has slammed the new Gillette ad out of the US, which taps into the #metoo movement, saying it's “vindictive” and “accusatory”. The ad directed by Kim Gehrig and created by agency Grey, instantly went viral when it dropped yesterday. It uses the brand's long-standing 'The best a man can get' platform and turns it around to take a critical look at toxic masculinity, which Gillette has played a part in framing over the years. Panning over frames of young boys bullying each other and men harassing women, it asks 'Is this the best a man can get?'. While many praised the move, Ritson joined the crowd of angry men in YouTube comments, calling it boring political correctness in a Marketing Week article.